"I like to challenge myself by embarking on things I've never done before"
Jools Watsham: Hello, my name is Jools Watsham. I am the designer, artist, and founder at Atooi. I originally started developing games professionally in 1992 in London, at The Sales Curve/ STORM on NES and SNES games. Prior to starting Atooi in 2015, I co-founded Renegade Kid in 2007. What has the journey been like from starting on DS with Renegade kid to Atooi, and now seeing your games on Switch? Our first game at Renegade Kid was Dementium: The Ward for Nintendo DS, which was a very special time for me. It was a great way to kick things off with our first company. We evolved from a developer who was dependent on publishers to develop and publish games into a fully autonomous developer who was capable of developing and publishing their own games digitally. Transitioning from Renegade Kid to Atooi was not an easy thing to do. Ending Renegade Kid was a difficult decision. Starting from scratch with Atooi was also very challenging. We're slowly establishing ourselves with our releases on Switch. You started on the DS with Dementium, but the shift in tone and style since then has been dramatic to say the least! Was that a conscious decision? Yes. I have always liked to play different genres of games, so why not develop them, too? As a designer and artist, I like to explore different ideas and challenge myself by embarking on things that I haven't done before. So far we have bounced from first-person shooters to racing to 2D platfomers to strange 3D action RPG to puzzle game to arcade game to level maker to soccer game. Who knows what the future may hold!? How has the development process for Mudds and now Xeodrifter been on Switch? I am not a programmer, so I don't feel the pain first-hand. Matthew Gambrell handled the technical aspect of bringing the games over to the Switch, which has been a fairly straightforward and relatively fast process in terms of getting the bones working on the new hardware. Extra time is then needed to polish it up and utilize any of Switch's features, such as the multiple controller configurations, HD Rumble, and the online leaderboards we added to Mutant Mudds Collection. What was your interest and exposure to the rumours of NX? I had no inside knowledge at any point, unfortunately. I was eating up the rumors along with everyone else. I learned of Switch when the rest of the world did. That first three minute video was my first introduction to the Switch, and I was instantly excited about it. What were the influences for Mudds and Xeodrifter? Mutant Mudds was inspired by Wario Land on Virtual Boy, Super Mario World, and Gargoyle's Quest to name but a few. 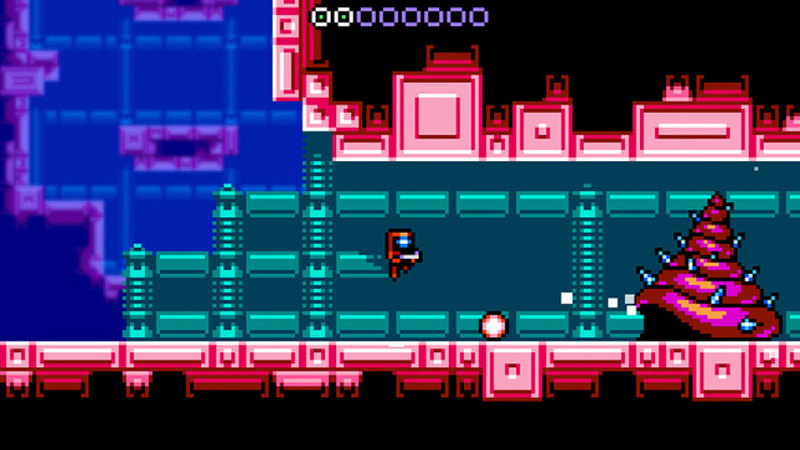 Xeodrifter is more specifially inspired by Metroid and Super Metroid. Bringing Mudds and now Xeodrifter over to the Switch - what has the fan reaction been like? I recall the moment I tweeted out an image of Mutant Mudds running on Switch. The reaction was awesome! That tweet received a lot of likes and retweets, which was very exciting. That was before we revealed the fact that it was going to be a collection with Mutant Mudds Deluxe, Mutant Mudds Super Challenge, and Mudd Blocks. When this news was announced, players were very excited and appreciative of the collection and price point. 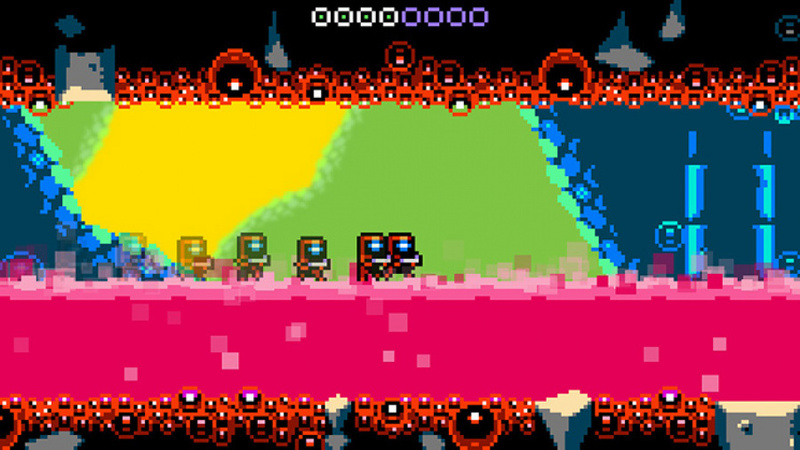 Xeodrifter has had a similar positive reaction. It will be interesting to see how well the game sells on Switch. It must be exciting to bring your games to a new audience, especially considering how well Nintendo Switch is doing. Yes, I really love Switch, so being able to bring our titles over to it is very exciting. I am looking forward to bring new titles to Switch, too. Have you had the chance to check out many new games on the Switch and if so, which ones? Yes, I try to check out as many as I can. I have spent a lot of time with Splatoon 2, and Super Mario Odyssey. I have spent some time with The Legend Of Zelda: Breath Of The Wild, and need to go back to it. Other titles I have spent some quality time with include Golf Story, Steamworld Dig 2, Celeste, Blossom Tales: The Sleeping King, Hammerwatch, Yooka-Laylee, Slime-San, and Rocket League. Has there been demand from fans for any particular title from your back catalogue? 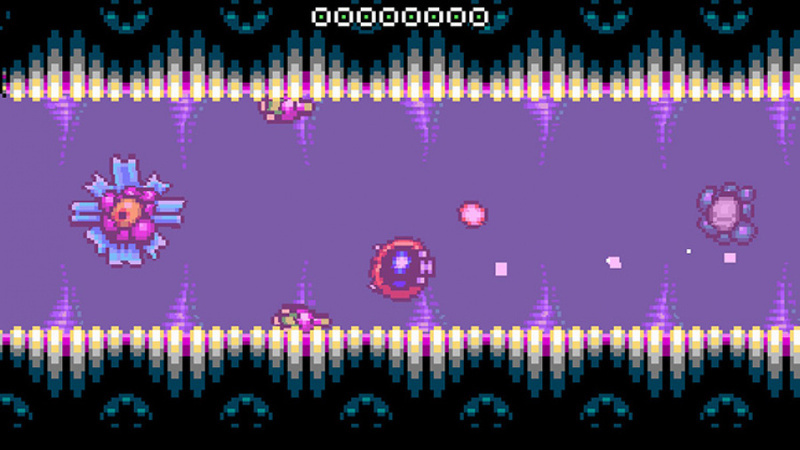 Mutant Mudds and Xeodrifter have been the main titles players have mentioned, as well as Dementium of course, but that is not an Atooi property. I would love to see Dementium on Switch too! I expect that I will develop a new survival horror game someday. It is a very interesting genre to work in. Mutant Mudds collection was a great bundle of three games for Switch. Can we expect any additional content for Xeodrifter? Thank you! Xeodrifter does support HD Rumble, but other than that it is a direct port of the original experience. Xeodrifter is due to be released February 15. Totes The Goat is at Nintendo Lot Check now, so that should be released sometime in March. After that we will be releasing Soccer Slammers on Switch in time for the World Cup. We're kicking around the idea of running a Kickstarter campaign to bring an HD version of Chicken Wiggle to Switch with new high definition artwork. Other than that we're still hammering away on Treasurenauts, which we'll have more news on at E3. Thanks to Jools for taking the time to speak to us. Xeodrifter lands on the Switch eShop on 15th February for $9.99 / €9.99 / £8.99. Looks great, wishlist is getting massive though. I think I'm going to get this. I already have it for PC, but I prefer playing on consoles. I've said it here over and over again...Atooi and Jools make nothing but quality games! If you haven't played Xeodrifter the Switch version will be the best way to experience that delightfully fun game. I will be skipping it though. I already have it on 3ds and the addition of HD rumble is not enough to justify a double dip imo. I got Mudds on Switch because that came with the puzzle game (that's really fun and addictive) and also the Super Challenge that I never bought on 3ds. Adding those two elements made it less of a double dip and more of me buying 2 new games with the definitive edition of one I already loved thrown in for good measure. I am looking forward to Totes the Goat, Soccer Slammers and Treasurenauts. New games, or ports of Atooi games I've never played, will always be a day one buy in my book. "As a designer and artist, I like to explore different ideas and challenge myself by embarking on things that I haven't done before." "What's next for you and the team?" "Xeodrifter is due to be released February 15. Totes The Goat is at Nintendo Lot Check now, so that should be released sometime in March... After that we will be releasing Soccer Slammers on Switch in time for the World Cup. We're kicking around the idea of running a Kickstarter campaign to bring an HD version of Chicken Wiggle to Switch with new high definition artwork. Other than that we're still hammering away on Treasurenauts." So, in other words... It's mostly re-releases of stuff they've done before, despite having announced Treasurenauts 3 years ago. Does that seem like a contradiction to anyone else? @NImH Not really. They don't have a big publisher footing the bill for Treasurenauts development. If you've got finished games that can be ported to a new platform and bring in cashflow to support development of new games, then you do what you gotta do. @daveh30 Treasurenauts was announced and gameplay shown before production even began on Totes, Chicken Wiggle, Xeodrifter or MM Super Challenge. It seems obvious to me that there isn't a very solid game plan laid out at Jool's house. Treasurenauts sure has taken a long time to be released. I wonder what the hold up is. Still an interesting interview though. @NImH who cares when it when shown? Just because he's shown it doesn't mean he owes it to you. Maybe it ended up being bigger than he originally planned and he did some smaller in projects in the meantime to pay the bills and fund further development. Maybe he just needed a break from it. What difference does it make? Games get delayed all the time. You don't rush art. I'd rather wait another 5 years for Treasurenauts and get a game with the polish typical of Atooi /RK releases, than have him put it out half baked just because some people can't get over that he announced it early. @daveh30 your rational requires too many maybes. @NImH Not really... He's given both of those reasons himself in interviews over the last couple years. My point was, who cares? I trust the guy who makes well polished games to put it out when he feels its ready more than I'll ever trust kids whining on the the internet that it should be done by now. What are you even talking about, Dave? My assessment of Atooi's recent misfires is based upon my own years of playing their great games and following their development and changes... Their own repeated statements regarding the confusion over why their titles (Moon, Bomb Monkey, Chicken Wiggle, MM Super Challenge) didn't perform in sales as expected are clear evidence in support of my opinion. Your opinion sounds to be based upon how much you love their games. And that's it. Which is why you shifted the discussion away from my original point: Jools obviously needs to get his ducks properly set in a row. @daveh30 I also love how you set yourself on a step above me by inferring that I am a child. I'm buying this, and Mutant Mudds when it gets a physical release. I'll be picking it up day one. I skipped on Mutant Mudds on Switch since I already bought 2 of the 3 games on DS. I might pick it up at some time later but there's too many new experiences available. Xeodrifter I never picked up. Looks nice, but I probably won't pick it up for a while. I've already got a massive backlog and Bayonetta 1+2 and Kirby Star Allies are coming out within a month or so. @Oat Jools makes more games at a faster rate and posts updates more regularly than others. Therefore he gets about the right amount of coverage here. Another pixel art Metroidvania style game on Switch. I know this genre is popular but not every game needs to look like it was a SNES title just because it's an indie game. @Heavyarms55 That's interesting, True the genre is popular but I think its the development time and resources required to do something s good as Yooka-Laylee. Anyway was just thinking I wish..really wish... we were to get FEZ one of the most creative 2D games I have played ........ I know its not possible with all the issues with the developer but its such a perfect fit for the Switch.